Litigation support performs the thankless task of shepherding terabytes of data from client to final production. This behind-the-scenes process is what lets attorneys and staff focus on practicing law without worrying about the details of handling data. 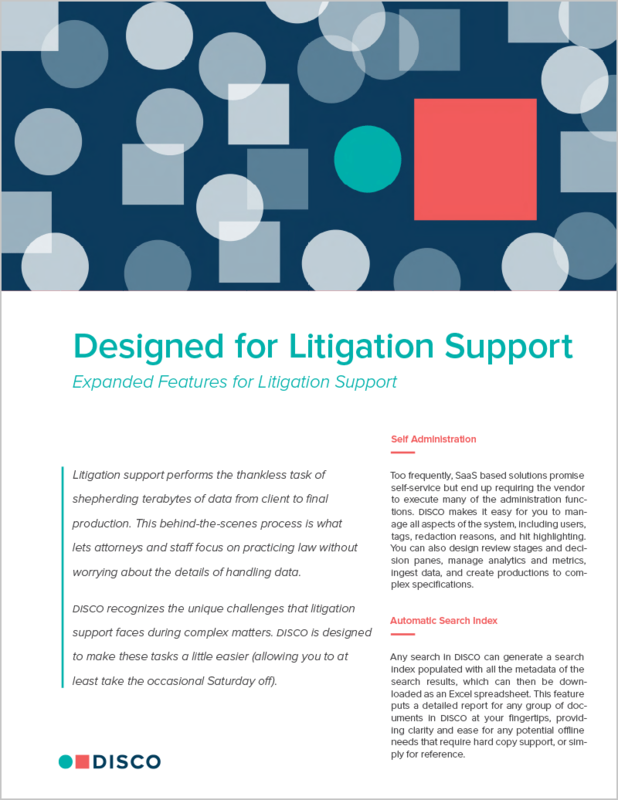 DISCO recognizes the unique challenges that litigation support faces during complex matters. DISCO is designed to make these tasks a little easier (allowing you to at least take the occasional Saturday off).